These days I gravitate more and more towards simplicity. A rustic simplicity that’s clean but not cold, warm but not busy. Every month I get rid of more of my possessions asking the question “is this both functional and beautiful?” Sometimes an object is just one of those two things, and sometimes that’s enough. But the truly special artifacts of everyday life are the ones that satisfy both requirements. 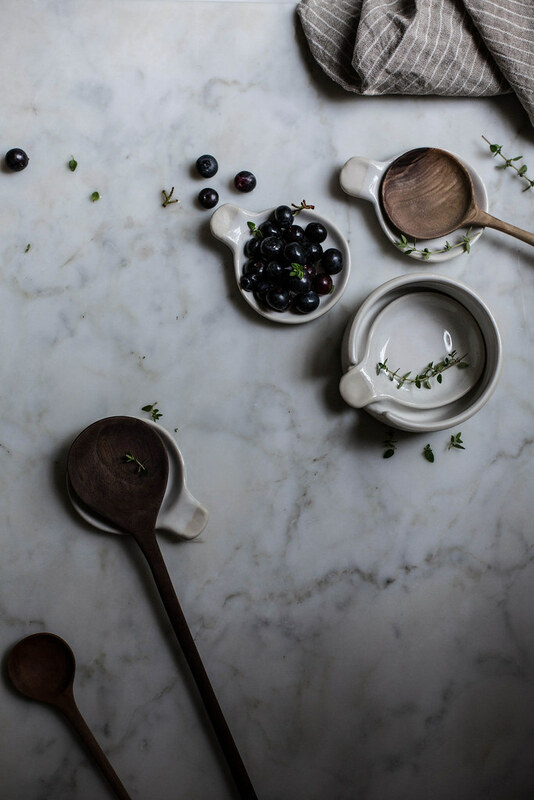 And these ceramic nesting spoons by Fringe & Fettle in collaboration with HDH are that kind of special. Since receiving them I’ve used them for everything from serving olives and jams on a cheese plate to scooping ingredients to spoon rests while I cook. Like the pieces of HDH clothing I own, they’ve already become part of the fabric of my daily life. So, in celebration of Hackwith’s Maker’s Alongside collaboration with Fringe & Fettle, I whipped up some blueberry & cream cheese rye muffins before hitting the road earlier this week for New Orleans. Gas station food is hateful, and I wanted to have something delicious on hand for us to nibble on during the long drive down to New Orleans, where I am currently. 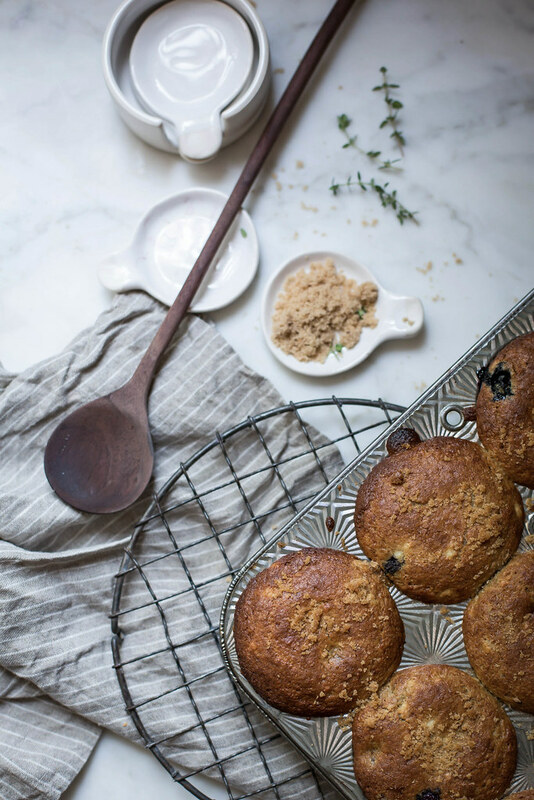 You can find the ceramic nesting spoons here and the recipe for the muffins below. That’s all for now…back to soaking in my fair old home, many photos of which I’ll share with you soon, no doubt! Heat your oven to 400°F. Well grease your muffin tin. Combine all the dry ingredients in a mixing bowl and set aside. In a stand mixer mix the cream cheese and eggs on medium until fluffy. Add in the buttermilk, vanilla, oil, lemon juice, and honey and mix or stir to combine. Add in the dry ingredients and mix until just combined. Stir in the blueberries. Fill the cups of the muffin tin almost to the top, sprinkle with brown sugar, and bake for 20-30 minutes until the tops are golden brown and a cake tester inserted into the center comes out clean. Allow to cool fully before removing from muffin tin. Oh my goodness this is sooo beautiful! I’m Joanna from Fringe and Fettle Ceramics, Lisa sent you those nesting spoons of mine. I love love love your pictures! Thank you so much for posting this! I’d love to send you more pieces in the future if you’d be interested! Let me know, and thanks again! Happy 4th! It was such an honor to photography (and to have!) 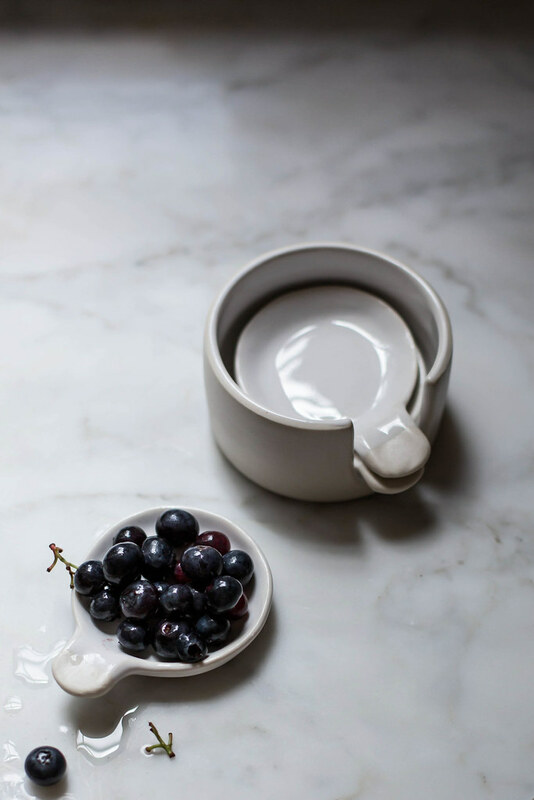 your beautiful ceramics…I’d love to see what else you come up with in the future! 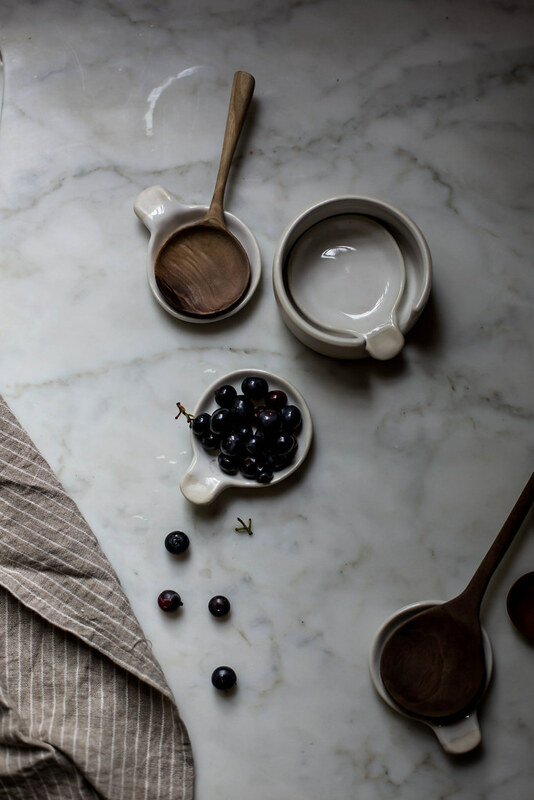 Lovely pictures and I love your cookware and cutlery! Beautiful, blueberries are my absolute favorite! Can’t wait to whip up batch of these. This is my first post, but I’m a huge admirer of your blog and your photography. Keep the recipes coming! Those muffins sound divine!! 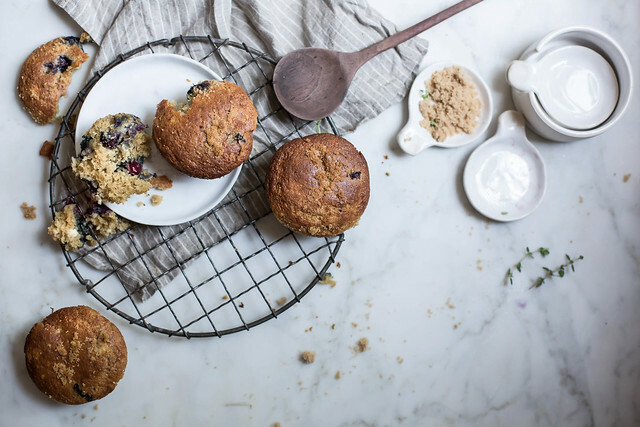 And you’ve undoubtedly got beautifully functional props that you style perfectly- especially loving your muffin pans ! 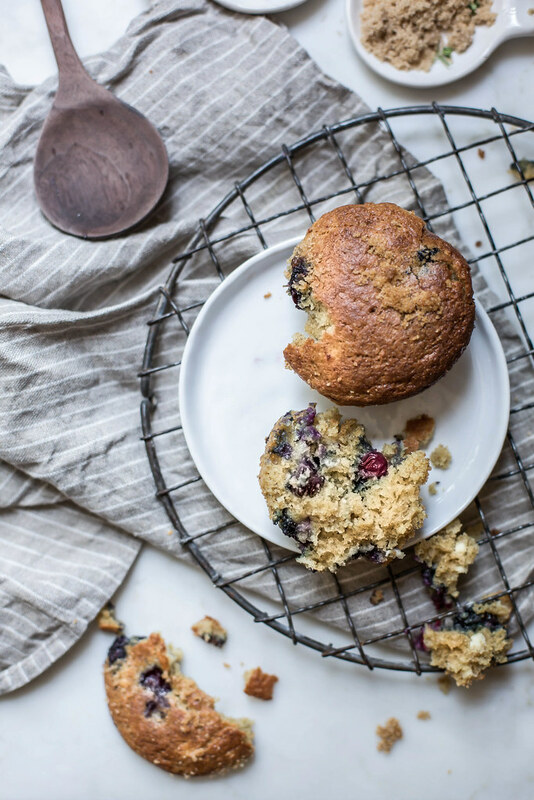 there’s something about blueberries – they’re perfect however you make them! I tried using rye flour in baked goods for the first time very recently and adored it – I cannot wait to do it again. These muffins look so good! Lately I have felt dragged down by the possessions colonizing my closet. You have given me the inspiration to roust them out! Your metric of function + beauty is perfect. these are so beautiful and your photography makes them look so much more tempting. thanks for the inspiring post and great recipe beth. will definitely have to try it out! 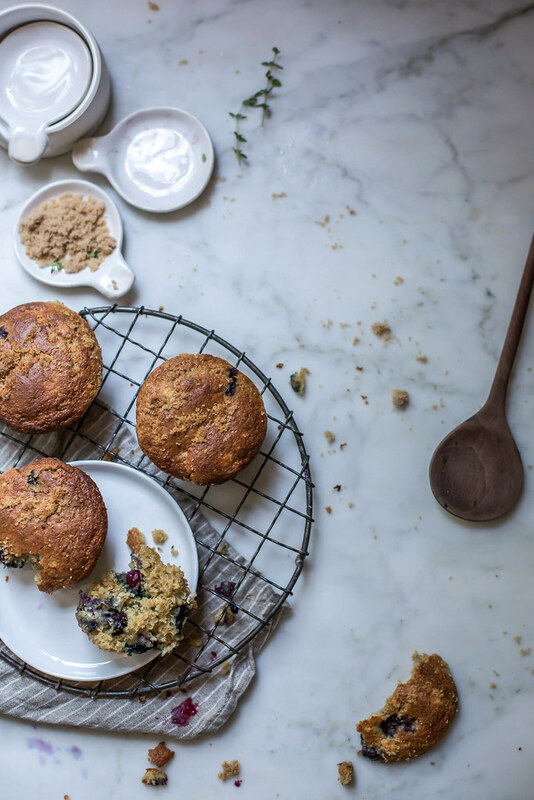 Now I’m very upset I used the last of my buttermilk – I would’ve otherwise had all the ingredients for these lovely looking muffins! These look amazing! Do you think I could substitute ricotta for cream cheese? I have some that I’m looking to use up. I think the finial product would be quite different, but you could certainly try! 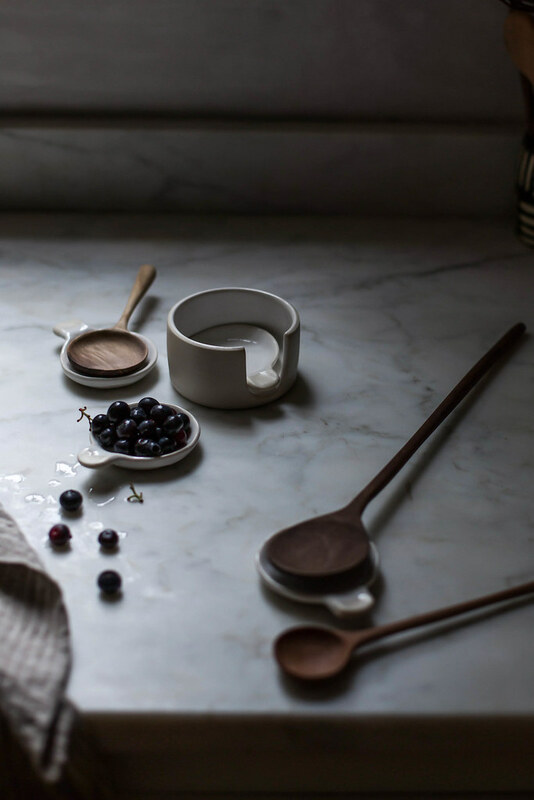 Form and function indeed–what great spoons! And those muffins, swoon. hello, sweet maker. just found you, already in aesthetic love. i am coveting those wooden spoons with the long handles and the widewide heads! wherever did you find them? What do you think could be a decent substitute for rye flour? Don’t know if I’ll have the time to hunt it down any time soon but I’ll be picking blueberries in Austria soon and these look so GOOD…whole wheat? spelt? that’s what Google said…Or you reckon the waiting will be worth it? 🙂 Thanks! Where did you find your gorgeous muffin tin?? I love your blog Beth and have enjoyed a summer full of local milk delights thanks to you! I just made these muffins and my 4 year old is going to be ecstatic when he wakes up to them in the morning. Thank you!! I found mine on Etsy! 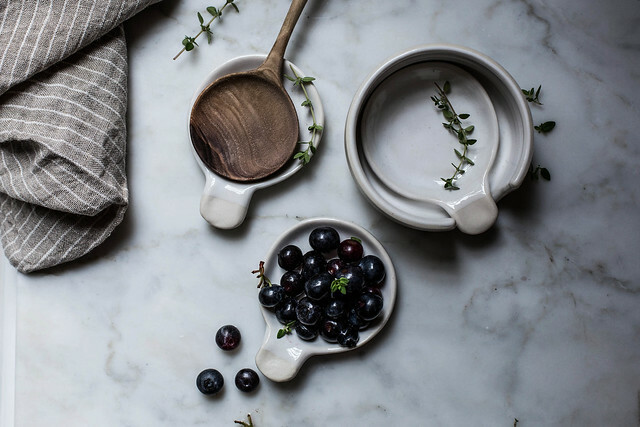 It’s a great resource for vintage cookware!